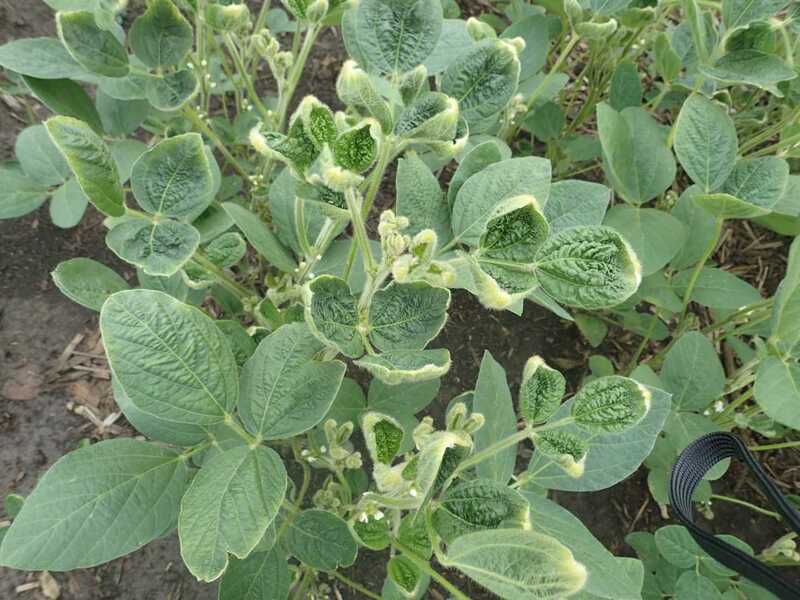 A few weeks ago, Dr. Anne Dorrance wrote an article about foliar fungicide application to soybean for control of frogeye leaf spot disease. She recommended spraying at the R3 growth stage. (Her entire article is here: https://agcrops.osu.edu/newsletter/corn-newsletter/2018-19/we-have-found-some-whiskers-spores-cercospora-sojina). What is the R3 growth stage? And has it already passed? It seemed to take forever this spring, but hopefully all of your soybeans are planted – for the first and only time. Ohio’s biggest challenge is replanting; it is costly (new seed, cost of planting, lower yields due to delay in planting). The first step is assessing overall stand health – do you have enough plants to obtain the best yields? Based on a substantial amount of data, for soybeans planted in May, a harvest population of at least 100,000 plants/acre is generally adequate to maximize yield. It’s Beginning to Look a Lot Like – Off-Target Dicamba Movement – our Favorite Time of the Year!